Regional Surgical Specialists (RSS), an affiliate of Mission Health, is pleased to announce the addition of Colin P. Bird, MD. Dr. Bird will be seeing patientsat the RSS location and performing procedures on the Mission Hospital and Asheville Surgery Center campuses. He joins RSS and Mission Health from The University of Texas Health Science Center at Houston where he completed his Colon and Rectal Surgery Fellowship. Dr. Bird earned his medical degree from Texas Tech University Health Sciences Cnter School of Medicine in Lubbock, Texas. 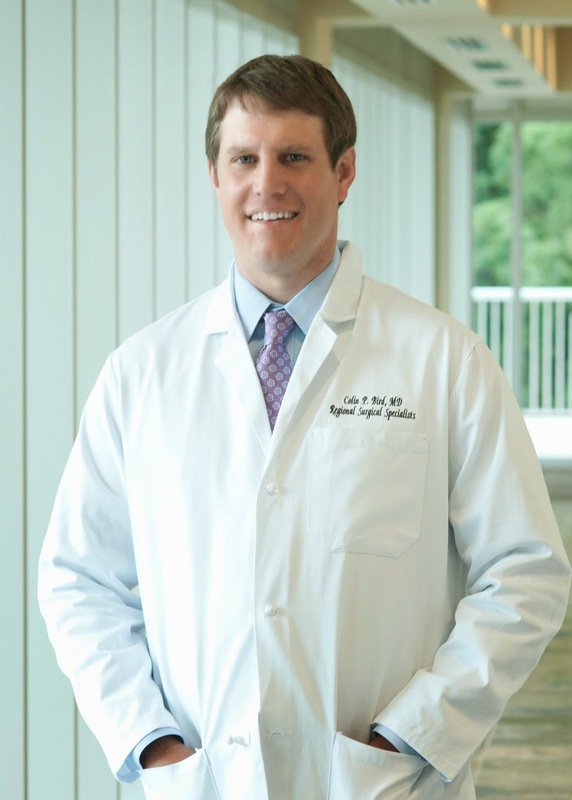 He completed his residency in general surgery at the University of North Carolina Hospitals in Chapel Hill. He is also a former recipient of the Senior ABSITE Performance Award. Dr. Bird takes pride in knowing that his patients receive both compassion and communication. Some of his hobbies include running, playing golf and other outdoor activities. RSS, founded in 1981, is continually dedicated to providing the best possible patient care to the people of western North Carolina. Dr. Bird joins the following board certified surgeons: Paul Ahearne, MD, W. Alan Bradshaw, MD, Pierre DeMatos, MD, Ted Humble, MD, Katy Irani, MD, Chris Edwards, MD, and Peeter Soosaar, MD. The surgeons at RSS and their staff strive to provide patients with the latest in medical technology and practices in the warmest and most comfortable environment possible. RSS is located at 14 Medical Park Drive in Asheville. To schedule an appointment with Dr. Bird or any other surgeon at RSS, call 828-252-3366.